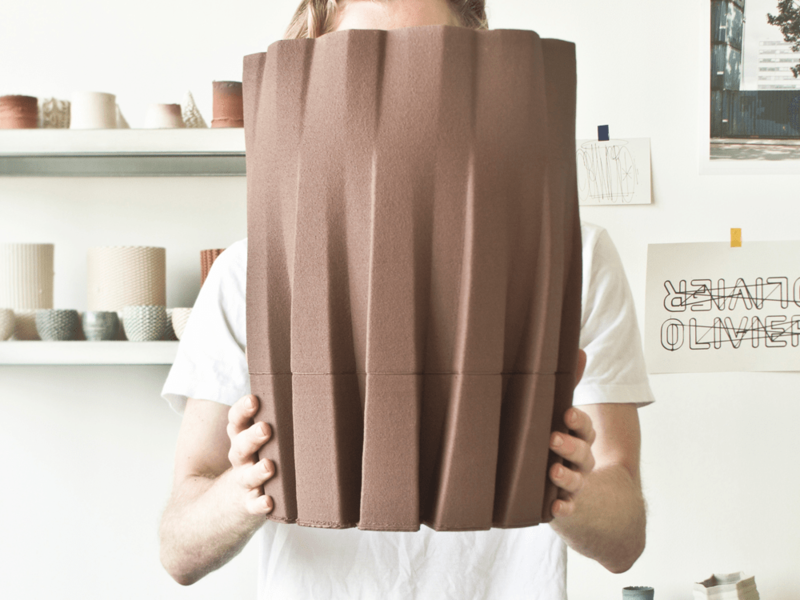 Artist Oliver van Herpt and his innovative 3D printer that makes clay pottery. 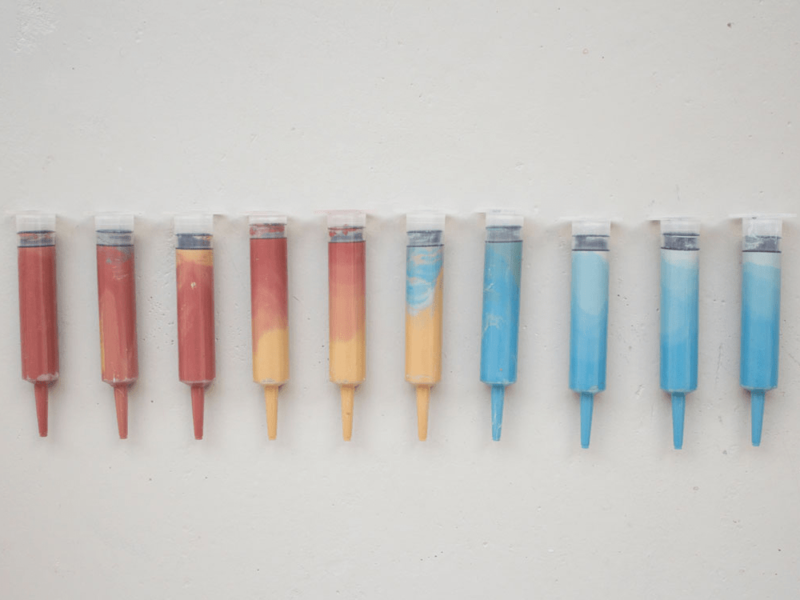 Such a nice workshop..
Oliver van Herpt is an artist whose obsessive compulsion has led to a victorious invention: a 3D printer which creates lovely pottery. 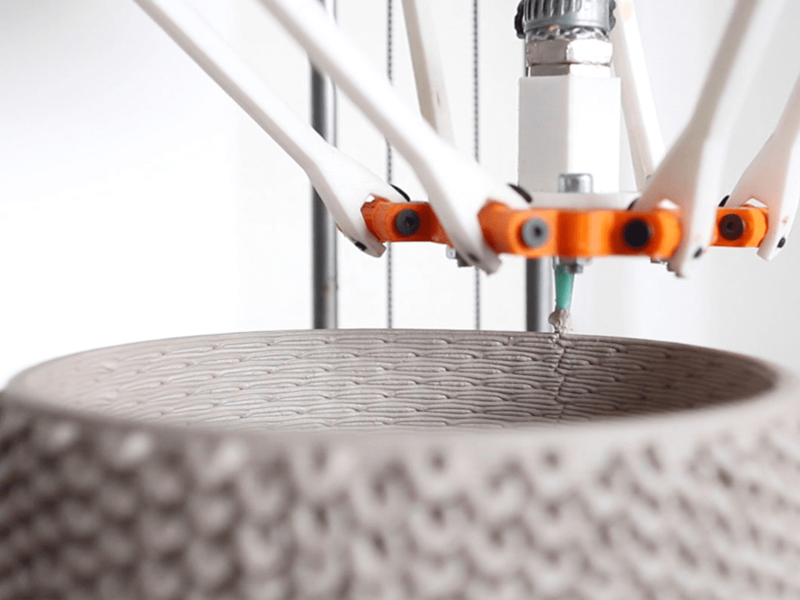 Considering the manner in which 3D printers work, one layer at a time, creating 3D pottery has been less than elegant as each layer cannot be masked. Of course, this doesn’t even take into account how hard it is to stop wet clay from collapsing in on itself. So, van Herpt’s elegant pottery is quite an impressive feat which was achieved by hours of intense messing about with code and hardware. In the end, this version of van Herpt’s creation is a water cut steel, delta-style printer that stands 5 feet tall and can create clay pots both big and small (yep, it even rhymes). In order to circumvent the glaring seams which highlight the 3D printing process, van Herpt decided to simultaneously hide and highlight the 3D printing process by printing intricate woven designs and textures into the print itself (as seen below). 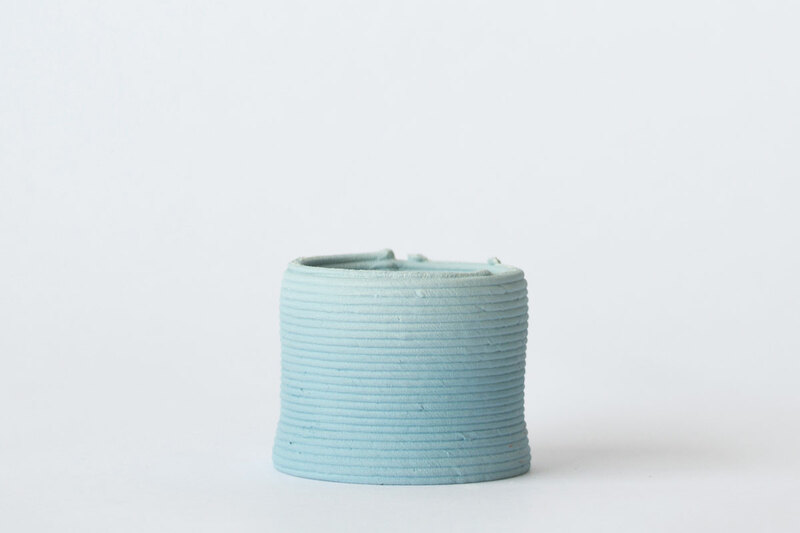 Additionally, van Herpt solved his issue of watered down clay, which isn’t a strong enough printing material, by using industrial strength motors to push a thickening clay solution through the extrusion tubes. His clay mixtures can be seen below. A finished 3D printed clay pot that demonstrates impressive possibilities that can’t be recreated by hand. 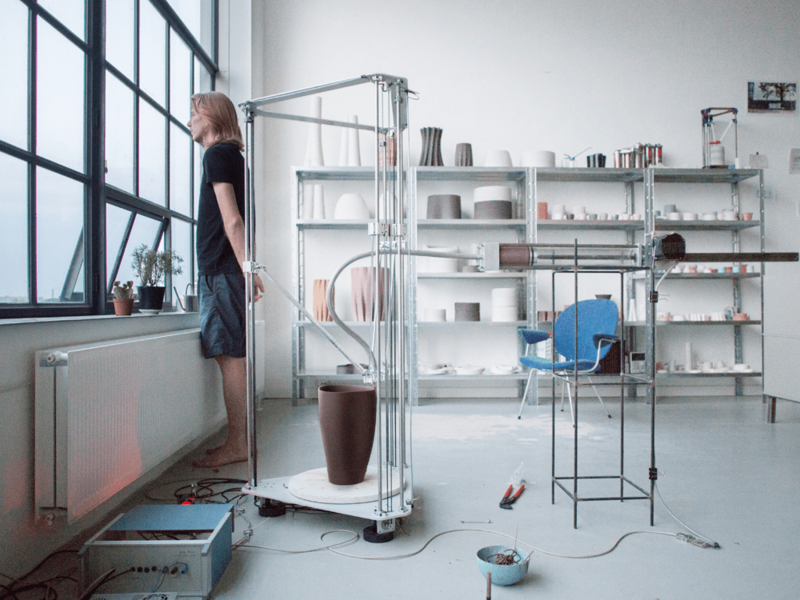 After a process of about 2 hours, van Herpt’s printer can create a pot over 3 feet tall with artistic designs that rival the capabilities of the pottery wheel. With beautiful designs that can be industrially created, I can’t help thinking that Ikea shelves may be filled with artisan pottery in the near future. For now, van Herpt will continue tweaking his design. For now, check out more on this project and van Herpt’s Beeswax, 3D shoes, and drip 3D printer at his project website.